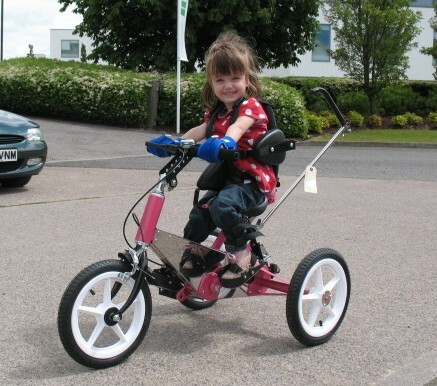 Great for children to participate in outdoor activities. 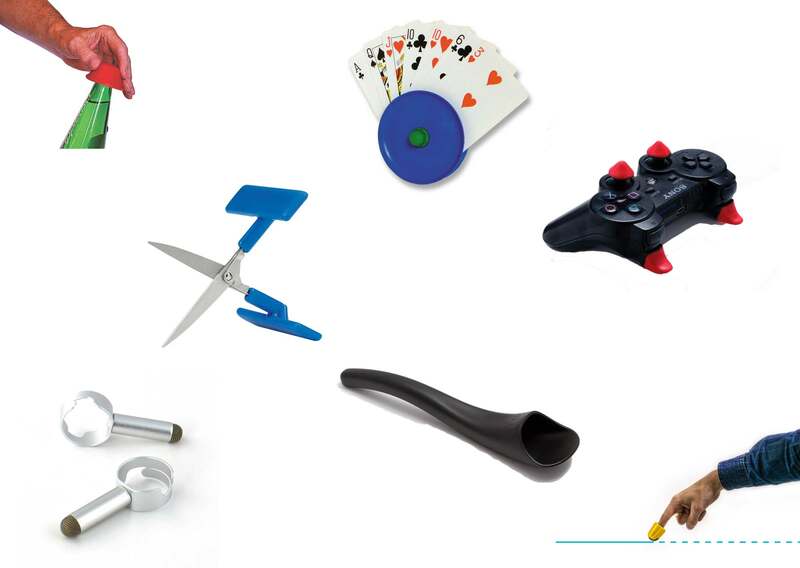 Active Hands Mini aids or small General Purpose aids are a must for your school. 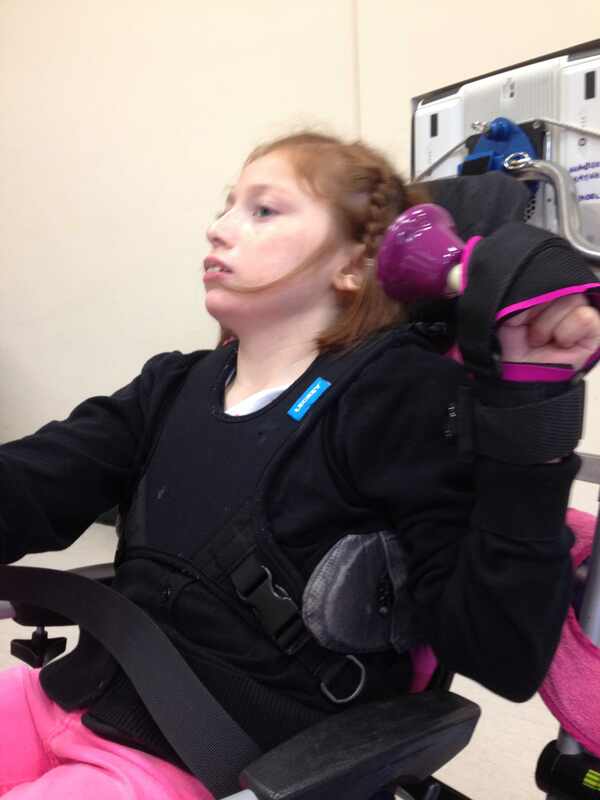 They give children with weak hand function a firm grip on items, allowing them to both gain independence and improve gross and fine motor skills on their weak side (should they have one). 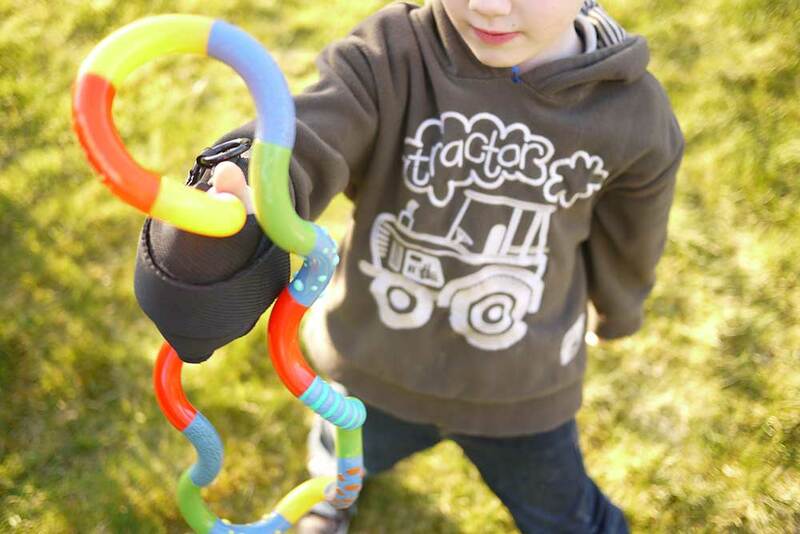 The gripping aids hold the child’s hand into a gripping shape, then objects may be placed in the hand and the aid done up firmly to give a safe hold on items. 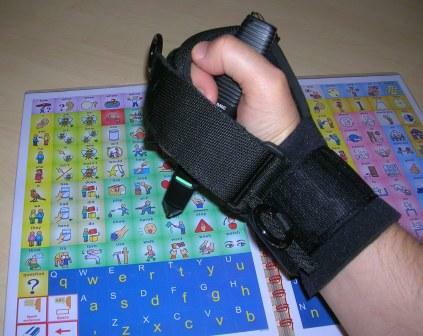 There are many uses for our gripping aids that are applicable in a school setting. 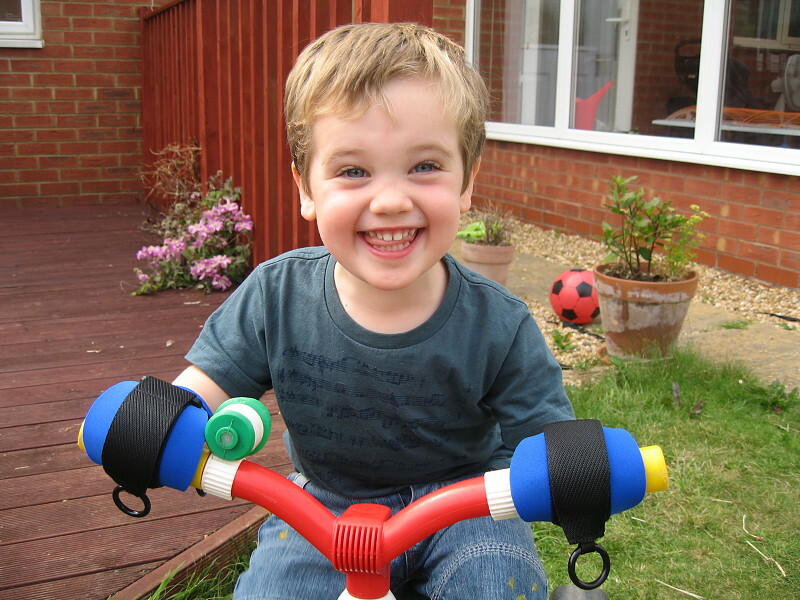 They can be used for holding on to walkers and adaptive trikes; for holding toys and instruments; for using gardening equipment and tools; for sports equipment; and for using electronic pens such as the Leap Frog Reader Pen. 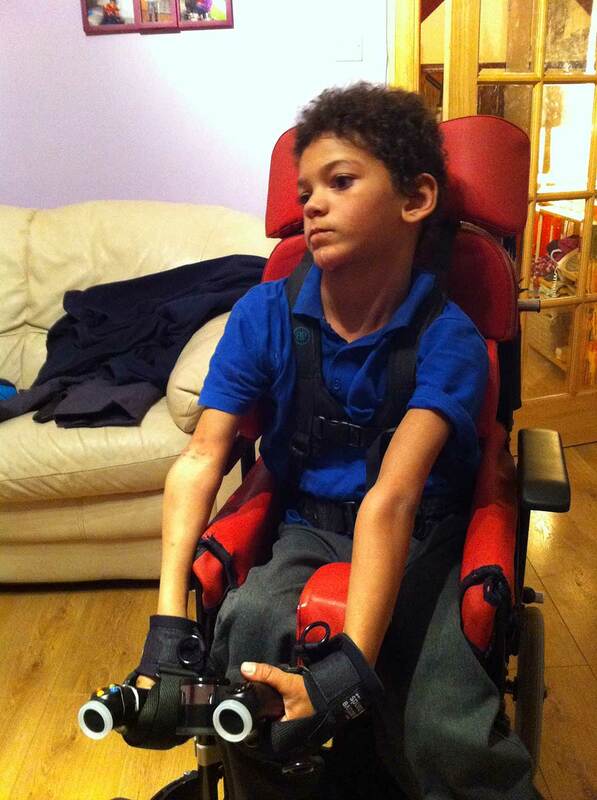 The gripping aids are suitable for children with a variety of disabilities such as Cerebral Palsy, Neurological injuries that affect hand function or control, dystonia and any other disabilities that affect hand function. 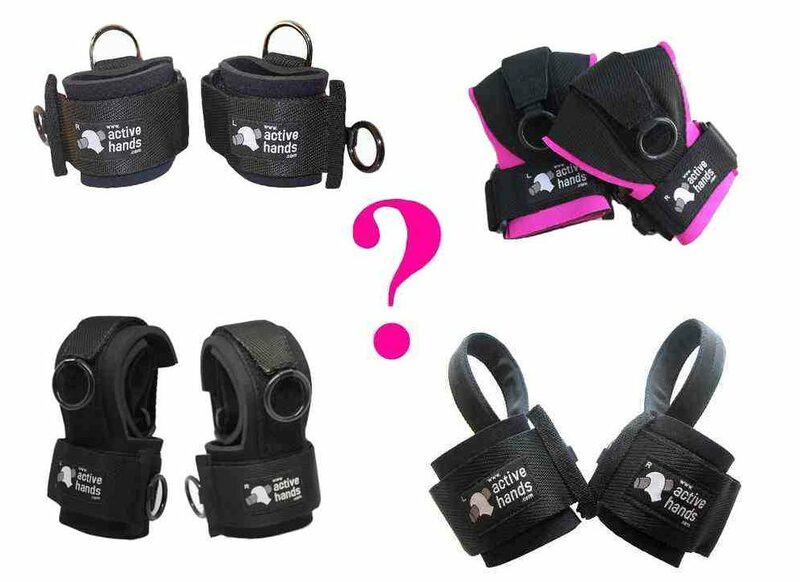 We also have a Limb Difference aid for those with fingers or parts of hands missing. 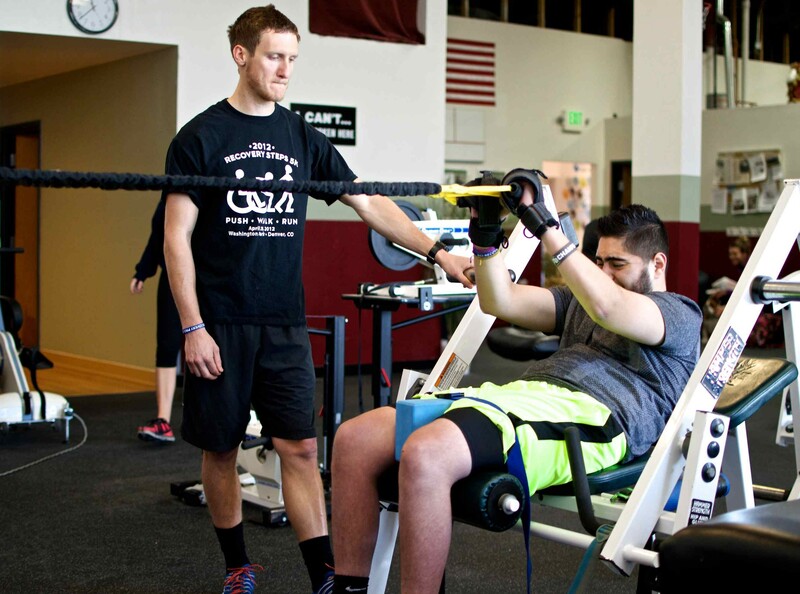 Our Small Item gripping aid is a must for schools. It allows children with no/little grip to hold small diameter items such as pens, paintbrushes, cutlery, wooden spoons and more. Use them for cooking and eating, for drawing and painting, for personal care (toothbrush, hairbrush), for taking part in music lessons. They are great way to ensure that children can be included in lessons. 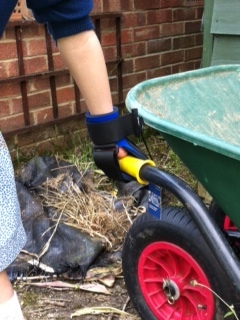 I’m sure you could find many more uses for our Small Item gripping aids. Please see our children‘s section for more ideas. 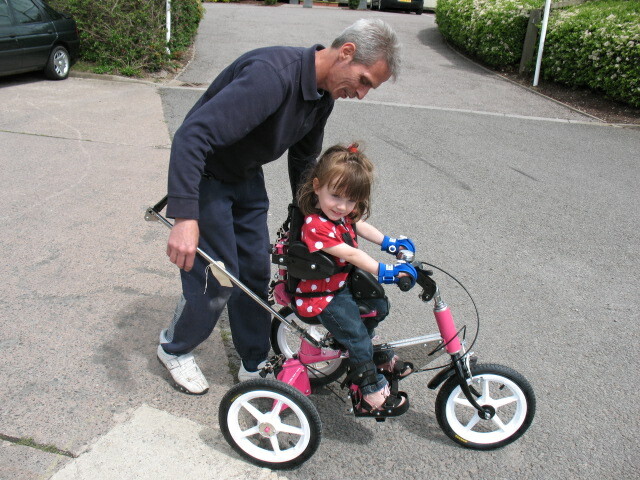 Mini aids are great for use on trikes. Mini aids being used on a walker. 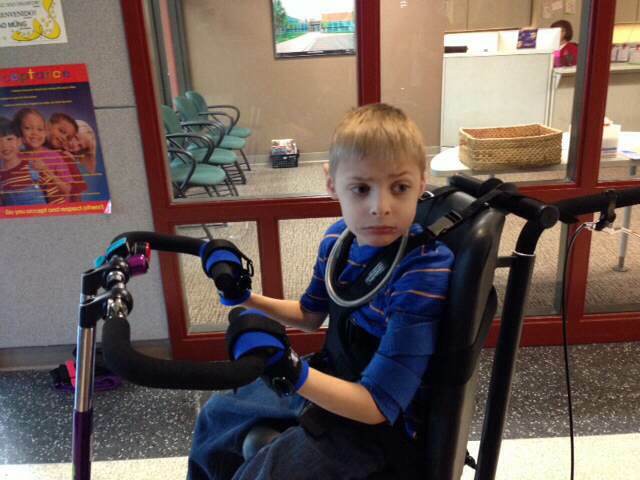 Parker can cycle his legs better when he doesn't have to worry about his hands. Small general purpose aid used to hold a toy. 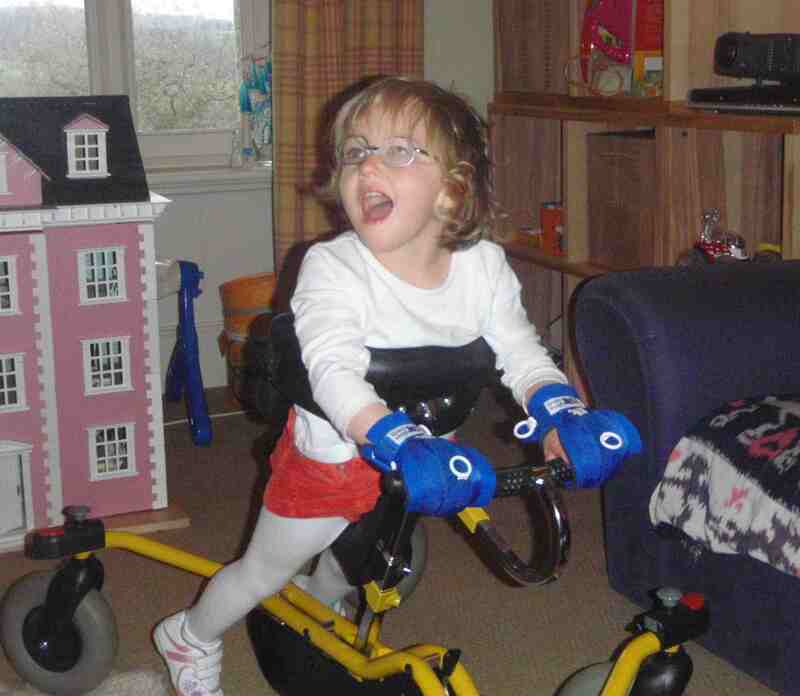 Holly enjoying being able to ride her bike. Active Hands mini aids can be used with a v-pen. The gripping aids can be used to hold instruments. Hold onto a games controller!